Mattsson is a name that has become synonymous with melodic progressive metal fused with symphonic, neo-classical and ethnic touches. 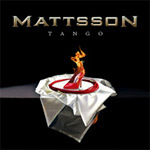 This direction is continued and taken to a higher level for “Tango”, the fifth album to be released under the Mattsson banner. Led by guitarist / composer Lars Eric Mattsson, “Tango” sees the collaboration between Mattsson and vocalist Adrienn Antal who first paired up on 2008’s “Dreamchild” release build upon its predecessors impressive foundations for this overall heavier release. Progressive, Gothic, Ethnic metal featuring singer Adrienn Antal.“Dream Child” is the latest release to come from prolific composer and guitarist Lars Eric Mattsson which introduces the stunning new female vocalist Adrienn Antal. “Dream Child” represents the most solid album to date from Mattsson, building upon the solid foundation laid by 2005’s “War” the new album sees symphonic metal mixed with progressive and gothic elements spiced up with world music inflections to create an album which in Mattsson’s own words is “as complete as possible”. Progressive metal feat. Lars Eric Mattsson and singer Lance King (Balance of Power/Empire). Artwork by Mattias Noren. Official release : Febuary 2003. This new wholly instrumental 12 track release takes a fresh approach to the blend of guitar and orchestra for a musical experience as uplifting as seeing the wonder of the northern lights, from which the album gets its title. Whilst the combination of orchestra and guitar may have been done before by amongst others one of Mattsson’s influences Uli Jon Roth; ‘Aurora Borealis’ takes the range of sound and expressions further that what has been heard before and places as much emphasis on each tracks backing as with its guitar work. The result is a highly captivating and listenable experience. Lush in textures and timbres, ‘Aurora Borealis’ comes across at times like a film score; sometimes fast and exotic whilst at others sweet and luxurious. Many moods are covered and all of which see Mattsson deliver impassioned guitar work in his own inimitable style. Lars second all instrumental solo album released in Nobember 2005, 14 years after "Electric Voodoo". A must have for all fans of guitar music. The brand new 2009 limited edition including 5 live bonus tracks. All new guitars and vocals. 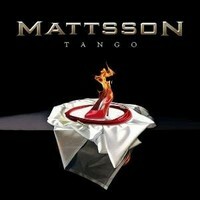 Lion Music founder and chief may have out done himself with his fifth Mattsson recording Tango. I'll go out on a limb here and say that this work could be the best thing he has ever done. With over 70 minutes of music Tango is an epic tour de force of ingenious arrangements for some great melodic progressive rock with metal nuances. Once again, Mattsson recruits Adrienn Antal (from Mattsson's 2008 Dream Child) on vocals, and compliments her with the more assertive style of Markku Kuikka (Status Minor). The skill of Mattsson's musicianship is unparalleled especially with his clever tandem use of guitar and keyboard. His neo-classical influences remain and permeate Tango, as do his rich use of ethnic themes. However, the real brilliance here is the sheer magnitude of the song arrangements, something Mr. Mattsson has mastered eloquently. Never Stand Down, Tour De Force, and the exquisite The Grand Escape are profound works filled depth and excitement. Adding cleverness to his creativity on the title track, Mattsson tickles our ears and treats us with a tango enhanced with a metal theme. Indeed, Mattsson's Tango is magnificent career defining moment for this excellent composer, and an amazing listen. With the depth of composition, it will take you more than a few listens to digest, but it's worth every minute. Highly recommended. 5. I’ll Find Another Way. 7. The Scream of My Soul. 8. The Fire is Burning. 11. Slave to the Road. Adrienn Antal – Lead and backing vocals. Markku Kuikka – Lead and backing vocals. Lars Eric Mattsson – Guitars, bass, keyboards, sitar, lead and backing vocals. Eddie Sledgehammer – Drums and percussion..
Guitarist/composer Lars Eric Mattsson has to be one of the hardest working musicians in the business, rarely a year goes by without a release in one guise or another whether it be under his solo name, one of a number of projects or as in the case with ‘Tango’ the moniker Mattsson. ‘Tango’ marks the fifth album to be released under the Mattsson name and as with previous releases it follows the melodic prog metal vein but with infusions of symphonic, neo-classical and ethnic touches. But a few cursory listens reveals that Mattsson has managed to pull all these tonalities into a cohesive unit and with extra listens the album really shows its worth developing into probably the best offering to date under the Mattsson handle. For the 11 tracks Lars has got heavier, yet at the same time more melodic with some quite wonderful 7 string guitar riffery, coupled with some complex arrangements that manage to remain easily digestible yet mind blowing at the same time – the final 2 mins of opener ‘Never Stand Down’ see Mattsson do things with time signatures not even Dream Theater could comprehend and its immensely captivating. Vocals once again come from Hungarian female singer Adrienn Antal (who first appeared on the Mattsson ‘Dreamchild’ album) and her voice is balanced out with male vocals from Status Minor vocalist Markku Kuikka and Mattsson himself - and there are a lot of vocal performances to enjoy especially on the more straightforward numbers like ‘Believe’ with its marvellously impassioned vocal and catchy melodies which work nicely with the sitar. The title track is unique taking the basis of ‘Tango’ music and throws it into a metal framework. The final result is catchy with an almost metal meets Abba pop sensibility about it and will be stuck in your head for hours afterwards. Elsewhere the variety on offer is impressive with each track serving up something new with other highlights coming in the guise of the 10:45 epic ‘The Great Escape’ which offers up everything and the kitchen sink in its arrangement and the full on metal attack of ‘Shadows’ although I’d like the vocals a little louder here but otherwise the album sounds very good. Mattsson's guitar on the whole album sounds the most inspired he has for sometime, and his guitar tone is also better than on the last few releases. The drum work of Eddie Sledgehammer is nothing short of spectactular but its the overall quality of arrangements that take centre stage on 'Tango'. 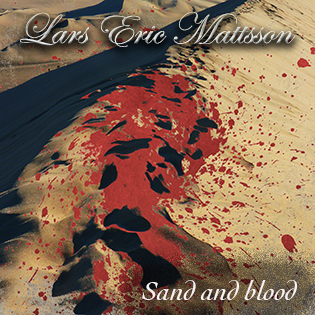 Musician/composer Lars Eric Mattsson has been releasing music under his last name since the late 1980’s using his last name as a stage moniker, and his material has often straddled the line between progressive rock and metal. Some listeners found his last album Dream Child to be a little too prog oriented and found that some of the instrumentals clashed with the vocal arrangements. Mattsson seems to have taken notice of this, as his newest effort Tango attempts to balance the progressive rock/metal moments with more commercial and accessible hard rock. And despite the fact that the effort drags in places, it is still a standout effort that listeners are sure to enjoy. Tango once again finds Mattsson collaborating with vocalist Adrienn Antal, which was a smart move as her voice has quite a bit of range and is sure to attract listeners to the songs that she is featured on. A male singer has also been added into the mix this time around, as Status Minor singer Markku Kuikka is given the spotlight at times. His voice adds some slightly darker tones to the material, and while there are a few moments where it feels out of place (mainly when he serves as backup to Antal rather than taking the lead) his performance is still noteworthy. 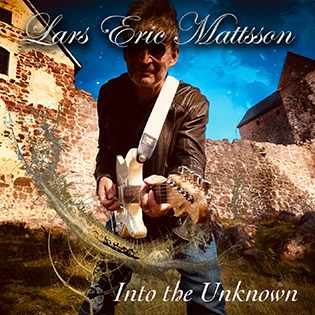 While the emphasis is often still placed on the instrumental arrangements, having two singers helps to reinforce that Lars Eric Mattsson wants to reach out to a slightly more mainstream audience and this should give his material more exposure. The instrumentals often straddle the line between progressive metal, progressive rock, and traditional hard rock. While Tango has some of the heaviest riffs that Lars Eric Mattsson has written to date, it is worth mentioning that this is not the focus of many of the songs. Instead, Mattsson places emphasis on melodic riffs and moves between relatively simplistic songs and technically intricate ones that are constantly changing in style. Admittedly some of the more traditional songs feature some repetitive moments, but this isn’t that big of a deal considering the wealth of interesting instrumental arrangements offered on the other tracks. In addition to some impressive technical guitar work there are also some melodies that seem to be influenced by various musical styles from around the world. Everything is combined very well, and despite the slight repetition most listeners will find themselves enjoying the entire hour that the album lasts for. Lars Eric Mattsson has been creating music for over two decades now but he certainly doesn’t seem to be running out of ideas. Tango can certainly be considered one of the better albums he has put out, and if you’re interested in progressive metal/rock that also has some hints of neoclassical and world music influences then this will be an album you will want to pick up. It is still early in the year, but Tango is currently one of my favorite prog albums of 2010 and is proof that the genre doesn’t have to be too focused on constant technical wankery and can instead just offer great songwriting.